It would only be fitting that my first blog of 2018 was about needing a plan. Plan plan plan, short medium and long term. This is something I am trying to live my life by. Every 1st January (maybe 2nd or 3rd depending on the New year eve) I write a list of ten things I am going to achieve this year. It is then cello taped to the calendar (yes, I am so old school and much to my friends’ annoyance I have a calendar… last years is cow yoga themed!) Some are related to work, finance, health, relationships and always a skill or growth option, ranging from learning to French plait my hair to running a marathon. Nothing is too ridiculous. Albeit learning the splits and becoming a milliner still have not happened! When I was starting myinternalrecruiter.com, I knew organisation targets and accountability would be key for success. In any article about start-ups one of the top tips they give time and time again is to complete a business plan. 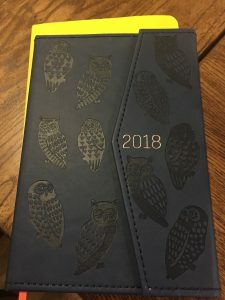 Working in large corporates I knew how to write a budget and a plan for the year. This was the easy part projecting the key numbers and future projections. Armed with my business plan I had no idea what to start with. I was overwhelmed and tried to do a bit of everything badly. I knew I had to break everything down Business planning had to have structure. Like my yearly goals nothing was too small and nothing too ridiculous to plan. As I am only in the first 30 days I can only comment on this. The first 30 days are all the set-up details, email, website, telephone etc. I had no idea how long this would all take. For example, I am not a video content creator, IT expert or website designer but I have had to learn all of these skills quickly, there is no team to call and they will fix the issue for you. I set myself yesterday afternoon one hour to complete the introduction video… this was not long enough! I couldn’t get the microphone to work on the laptop, so I had to balance my phone on a pile of books and against a glass of water, ridiculous but it worked. This diverted my focus from everything else I had to do yesterday. Due to my extensive 30 day plan I have now re arranged the week and am back on track. You need to stick to the plan. While I can’t predict the future or what the next 30 60 or 90 days will hold at least I have a plan. Here’s to starting the hard work but at least the work I know how to do. Happy new year everyone let’s make 2018 great.